This weekend West Ham visit the 2017 city of culture, the home to Britain’s oldest living man (who was 109 this week); a city with three professional football teams, although two use the oval ball. We are the only Premier League team without a point in the last three games, and need to reverse our recent form to ensure we don’t get dragged into the end of season relegation dogfight. At last the Premier League is back. OK I know it is only a fortnight since our last game, but it seems like an age, especially when you have sat through the tedium of England trying to break down the world-renowned defence of Lithuania. Fortunately, one of our ex-players, Jermaine Defoe, knows how to put the ball in the net. And talking of tedium I am well and truly brassed off by the continual coverage on TV of the forthcoming (in about two years time at least) UK exit from the EU. I know this may well be momentous in our history, but I get very bored by news programmes showing the letter from our Prime Minister making its way to Brussels via the Channel Tunnel, and the continual speculation of how the negotiations might go. Let us just wait and see. And the jargon! Hard Brexit, soft Brexit, extreme Brexit, trigger, Article 50. I think I’ve heard the word “trigger” more times in the last few weeks than if I watched a whole box set of all the Only Fools and Horses episodes, or a re-run of all the Roy Rogers western films (ask an oldie!). So what is the connection between our visit to Hull and Brexit? Although we only began the formal process of withdrawal from the EU with the triggering of Article 50 last Wednesday, one of the issues that will need to be resolved and agreed as part of the negotiations is the right of EU nationals to live and work in the UK. Some Premier League clubs might be affected more than others if we end up with a “hard Brexit”. To date this season, 38% of Premier League appearances have been by non-UK EU nationals. But there is a massive variation by club. Chelsea top the list with 74%, followed by Manchester City with 59%, and then ourselves with 57%. On the face of it, when I look at our squad I find it hard to reconcile these figures, but according to http://www.football.london, that is the case. On the other hand, our opponents this weekend, Hull, would potentially be the least affected, as, along with Burnley, only 5% of appearances have been by non-UK EU nationals. The numbers may appear higher than one might expect, but a number of players have EU dual nationality e.g. Luiz (Chelsea) Brazilian / Portuguese, and in time these may be affected. To be honest, I can’t see it being an issue, but some believe it might. Again, we’ll just have to wait and see. With just nine games of the season to go Hull are in trouble. They have won just six of their 29 games, and are currently three points adrift of safety. In addition they have the worst goal difference in the league (-32). It all looked so different for them with victories in their first two games of the season (against defending champions Leicester, and then away at Swansea), meaning they were joint top of the league at that early stage. But since then they have only recorded four further wins, all at home (to Southampton, Bournemouth, Liverpool and Swansea). 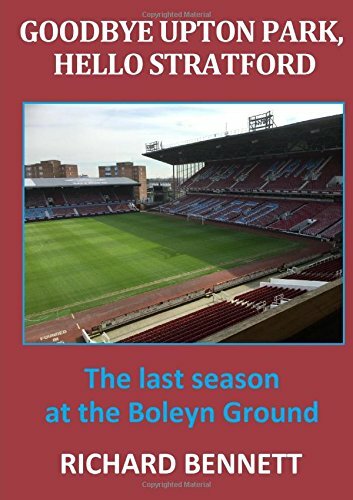 Like ourselves they have drawn 6 games, so the only difference between West Ham and Hull this season is that we have won three more games than them, and lost three fewer. So, if we had lost three of the games that we won (think back, it could have easily happened! ), then we would be where they are now! Some say we have enough points in the bag already, but defeat in this game would leave us just six points (two wins) ahead of Hull who will still be in the bottom three. With games running out, we probably are OK already, but we need a win or two to be absolutely certain, and victory would be a timely boost. Defeat would mean four losses in a row, and no win for more than two months, hardly good news for the manager in discussions with the board regarding his future. And finally, as a long term advocate of video assistant referees, I was pleased with the successful use of technology (as part of the official trial of its use), in the Spain victory over France in the international friendly in Paris this week. Firstly, Griezmann scored a goal for France which was offside, but the linesman didn’t raise his flag. The goal was disallowed by the video assistant who could see clearly that he was offside. Secondly, the reverse happened, as Spain’s second goal was flagged for offside (wrongly as seen on video), and the goal was awarded quite correctly. Video technology detractors are worried about the potential effect on the flow of the game, but both decisions were made in an instant and didn’t affect the flow whatsoever. What is more, two incorrect decisions which would have had an important effect on the result of the game were overturned. FIFA are considering the introduction of video technology in time for the 2018 World Cup in Russia. It can’t come soon enough in the Premier League in my opinion. How many additional points might we have gained in the last two or three seasons if it had been in use?